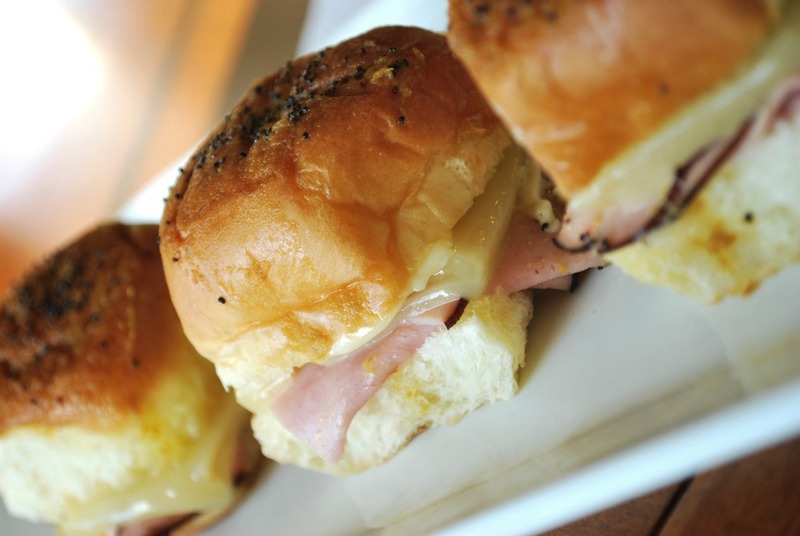 We love, LOVE, L.O.V.E these sliders. We have made them over and over and over again. They are easy to make. They are fast. They are a crowd-pleaser. They are divine. Okay, you get the point, right?!? They are yummy. You will not be sorry you put these on your menu. 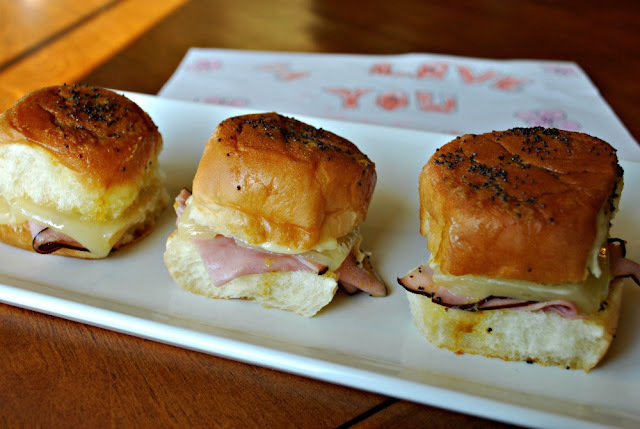 The ham and melty Swiss cheese are just about the most perfect couple...but then you hook them up with a Hawaiian roll and yowzers. AND just when it couldn't get better, the oh-so-delightful butter sauce over the top will blow your socks off. Literally (sorry Hubby I know you hate the inaccurate use of the word literally), you probably should make sure you are bare foot for this meal. 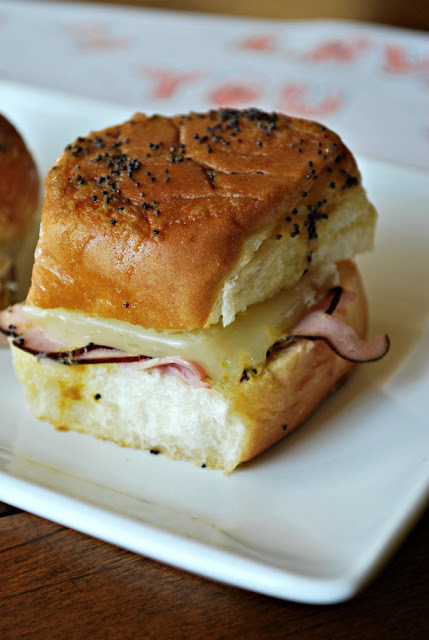 Now that I have gone on and on about a little sandwich, I probably should give you all the recipe! Preheat oven to 350 degrees. Split rolls and spread the inside lightly with mayo. Cut ham or fold to fit roll. Fold the cheese slice half in half again and place on top of the ham. Replace top bun. Place the sandwiches on a cookie sheet. Make the sauce by combining all of the ingredients but the poppy seeds. Whisk to mix well. Drizzle the sauce over the tops of all the slider buns. Sprinkle with the poppy seeds. Cover with foil and bake for 10 minutes, until the cheese is melted. Remove the foil and bake for another 2 minutes. Serve warm. Be prepared for oohs and ahhs and happy tummies.